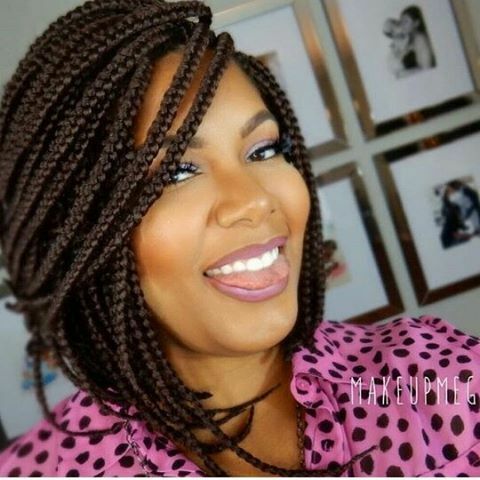 Below you will find a short gallery with some ideas on short braids hairstyles for black women. 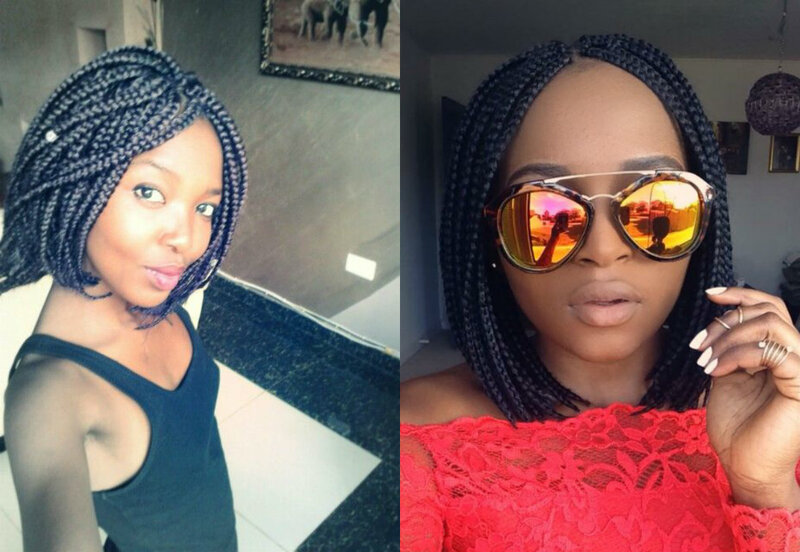 Give space to your fantasy and play with bog and micro braids, with colors and beads. This will provide a unique look to you. 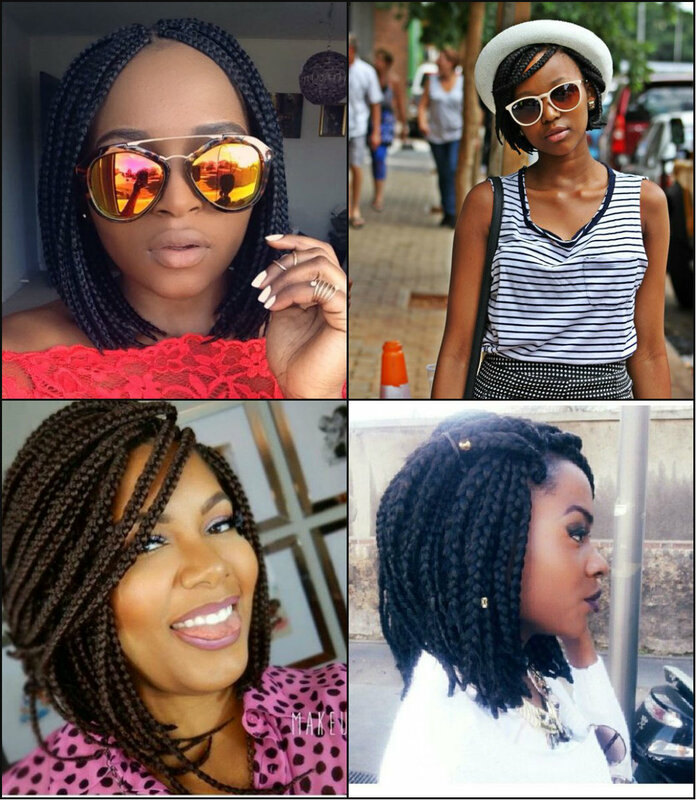 Actually when we get to discuss short box braids hairstyles, we also have to take into account that there are some other styles too. 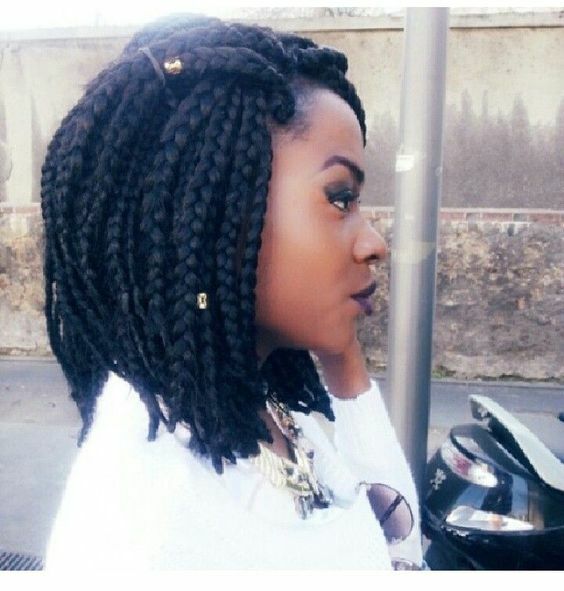 Take for example Senegalese Twists, or yarn braids. All of them look nothing but fantastic on short length that is so fashionable right now. If you do not want to go chin length short, then you are free to adopt another style - lob cut. The overgrown bob can always be make pretty and trendy when you leave it grow until shoulders. 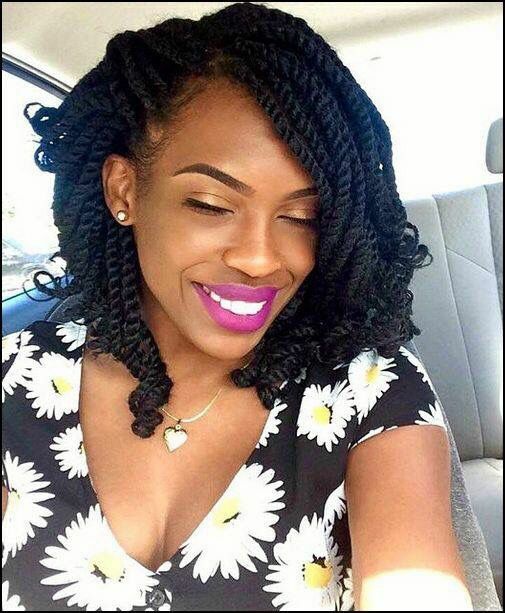 For protective styles, this is very nice and the length allows some more styling options. 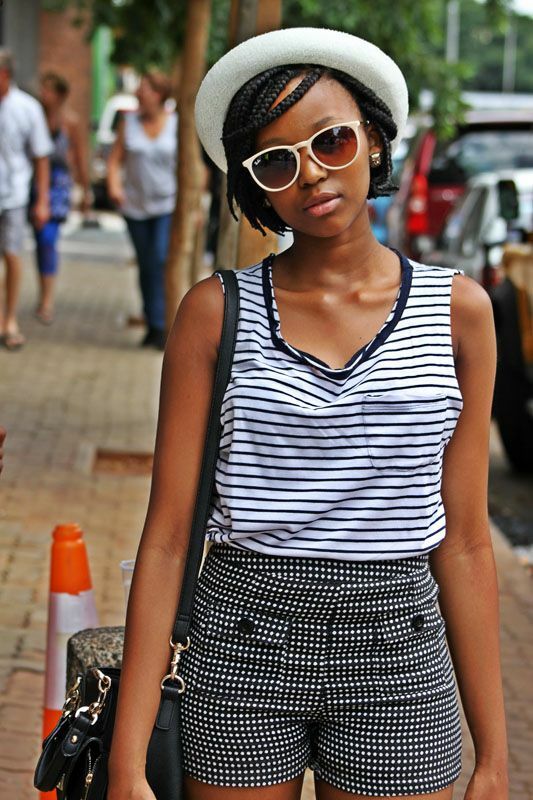 As always, let's have a look at some street style inspiration. 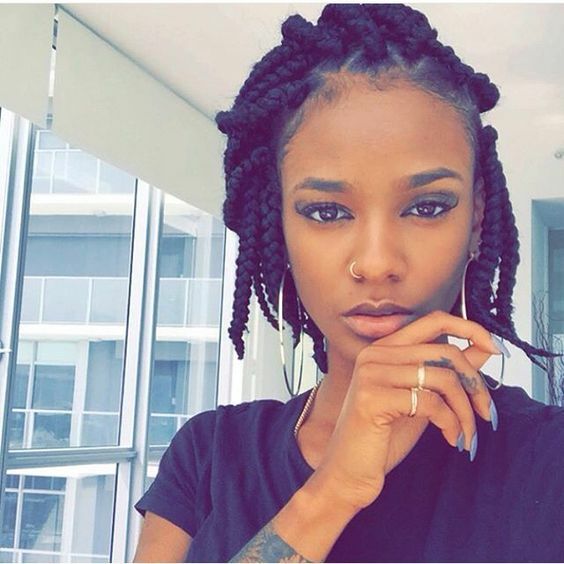 The best looks come from beauty bunnies that invent their own styles and rock them in streets. 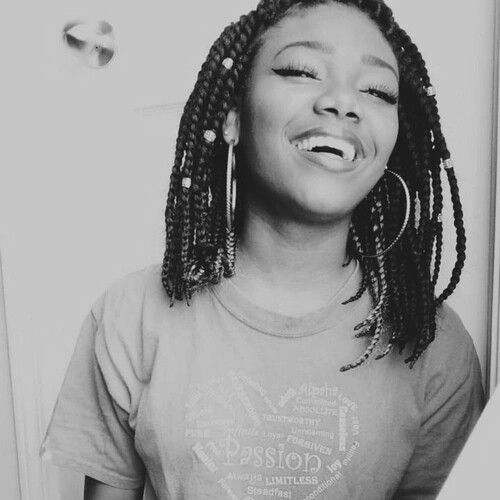 Take the above young lady with short box braids and a cute hat. Isn't a nice way to look today? 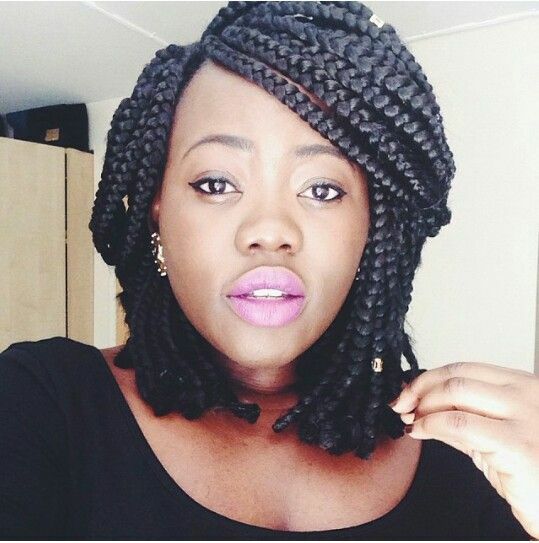 In a word, you can see yourself how cool he short locs can look. So go ahead and adopt the current trend to get the image you have been dreaming of.